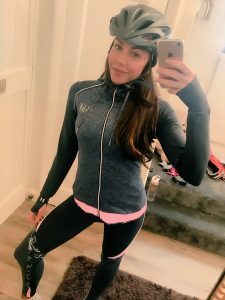 ELLESPORT are proud to sponsor Michelle Heaton on the ride of her life! 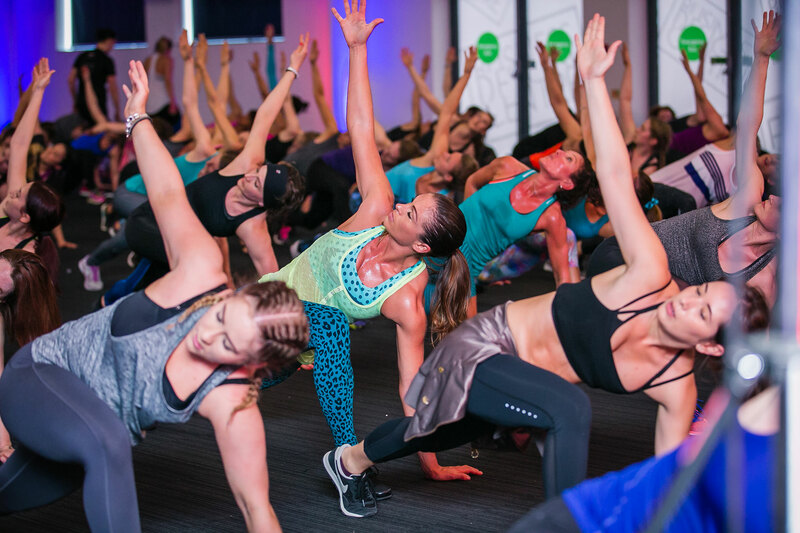 Michelle Heaton has become a fitness inspiration in her own right after opening up about her diet pill addiction whilst in the Popstar finalist band, Liberty X. Now she plans to take on a 187-mile bike ride with Denise Van Outen, Kate Thornton and others across India to help raise money for the Brain Tumour Trust in memory of, their dear friend and celebrity PT, Nicki Waterman. Alex Thrussell, Nicki’s beloved daughter, set up The Nicki Waterman Foundation after her mother’s death to raise both awareness and money for Brain Tumour Research. To date the foundation has raised over £15,000. The bike ride will start on 11th March and is expected to last 6 days, which will include 5 days of cycling in Kerala, on the South West coast of India. The longest day will be seven hours, travelling over 55 miles. If you would like to support Michelle and the team, please donate to The Nicki Waterman Foundation justgiving page. There's no time to waste FLASH SALE ends Sunday! Be quick, stock is limited and when its gone... it's gone! Buy any full price jacket from ELLESPORT this week and receive the full price bottoms for half price. This is certainly a deal not to be missed! Simply use the code: DEALOFTHEWEEK until midnight on Friday 17th February 2017. EXCLUSIVE pre-order of the new ELLESPORT collection - THIS FRIDAY! Sign up to newsletters for an exclusive chance to pre-order Ush'Aiya - part 2! On Friday morning ELLESPORT will be sending an exclusive chance to newsletter readers, to pre-order Part 2 of the new Ush'Aiya collection. Part 2 consists of jaw dropping prints inspired by the vibrancy and passion of Ibiza. Due to the high level of sales seen in Part 1, the brand is encouraging consumers to get their orders in early! So, to wet your appetite ELLESPORT have shared some of the key looks from Ush'Aiya Part 2. Extra discount - 10% off already reduced prices - this weekend only! Born from the Parisian brand ELLE, the designs are chic and highly fashionable whilst tailored to fit and flatter the UK woman’s body. 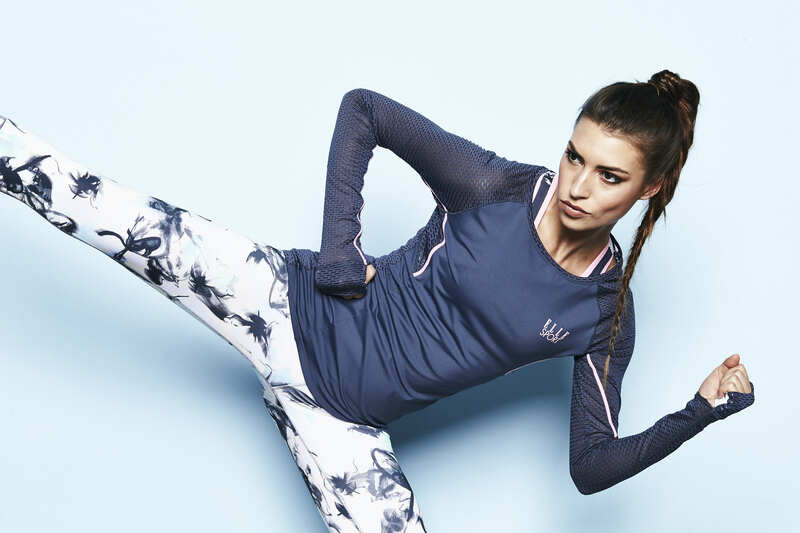 With increasing brand awareness ELLESPORT is rivalling many mainstream retailers in the style stakes. Fashion has always been at the heart of ELLESPORT designs. Every garment is carefully created to perform whilst the runway inspired shapes give a nod to the fashion forward. You’ll be wearing this collection all season and beyond! We are proud to announce the launch of ELLESPORT’s affiliate programme. To join please click here. ELLESPORT is one of the leading fashion activewear retailers worldwide, helping thousands of women achieve their fitness goals across the globe. ELLESPORT is a quickly growing online retailer and has a fast paced social media presence. The brand is now stocked in national retailers such as Fenwicks and House of Fraser as well as small independent high end boutiques. High AOVs of over £75. Clean, clear website designed specifically to offer an efficient sales experience and maximum conversions. 8% for new customers. These are customers who have not previously had an account. 5% for existing customers. These are customers who already have an account. As a special thank you for joining the ELLESPORT affiliate programme, we’re offering all affiliates an increased commission rate for November 2016. We look forward to working with you through our affiliate programme. Please get in touch if you have any suggestions, feedback or requests.